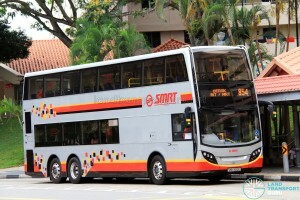 SMRT Bus Service 854 is a trunk route linking Yishun Interchange and Bedok Interchange, passing through Lentor, Yio Chu Kang Road, Hougang Avenue 3 and Eunos. 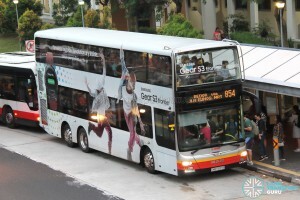 It also operates an express variant, Express 854e. 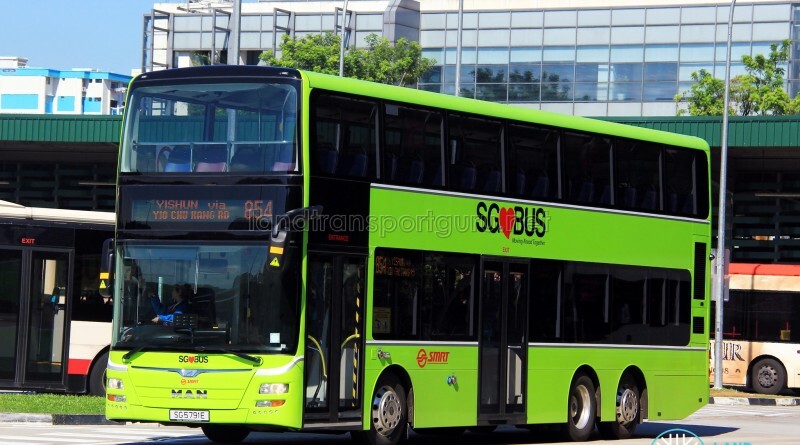 Service 854 is an inter-town route linking Yishun, Yio Chu Kang Road, Hougang, Eunos and Bedok. 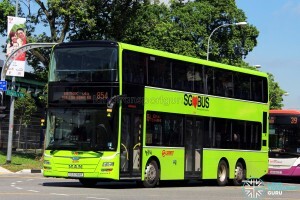 The route is frequented as a popular connection between various housing estates, as well as serving Ang Mo Kio Industrial Estate & Industrial Park 3 along Yio Chu Kang Road and more industries around Ubi and Eunos. 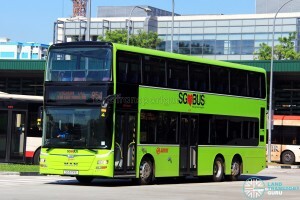 The route encounters moderate to high demand throughout the day, with especially high demand during the peak hours due to increased inter-town commute and workers from the industrial estate. 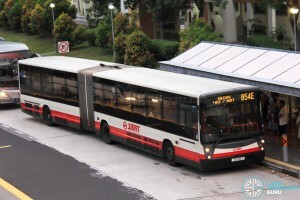 High capacity buses are deployed on a daily basis. 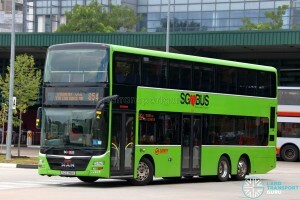 The route shares a large proportion of its route with Service 25, its main competitor for the high demand sectors between Hougang Ave 2 and Bedok. It is also the only SMRT service to call at Bedok Interchange. 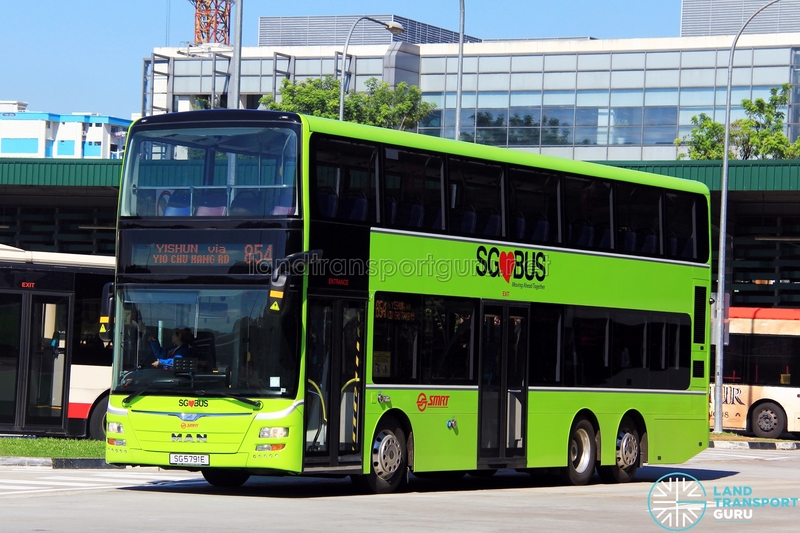 Additionally, Service 854 also compliments Service 857 between Yishun and Yio Chu Kang Road. Introduced in 1988 by Trans-Island, the route has not undergone any amendments since. 1987 (18 Jan): Introduced between Yishun Ctrl and Bedok Int. Amended to Yishun Int on 23 Aug that same year. 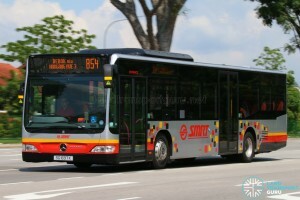 2013: Service improvement under the Bus Service Enhancement Programme (BSEP). 1987: No significant route changes since 1987.